A highly adaptive, competitive card game where only the smartest and most cunning merchant will get the post of Trade Master. 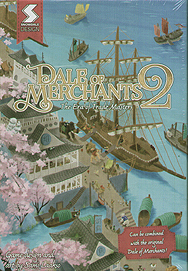 Dale of Merchants 2 can be played by itself or combined with the original Dale of Merchants for huge variety. Are you ready to meet the new cast of animalfolks? They offer a bunch of new unique techniques you can use to get an edge in the competition!